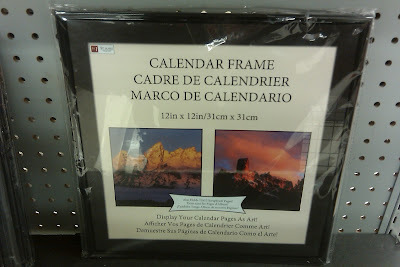 SCRAPiVERSE: On The Aisles At MICHAELS and/or: WHY AM I AWAKE?! On The Aisles At MICHAELS and/or: WHY AM I AWAKE?! It's 3am. Why am I awake?! Better yet, WHY AM I AWAKE AT 3AM on a SATURDAY NIGHT AND STILL HAVE THE ABILITY TO TYPE?! No. My social life is not over. I've spent most of the day working on my 'super secret super exciting' project. You know, the one that I'll surely build up so much that when you see it, you'll say, "Really?! THAT is what you've been going on about?!" The rest of the time I've spent drinking boxed wine and watching movies. Yeahp. It was movie night at the SCRAPiVERSE household. I mostly listened/sang along from my workspace. Yes, sang along- cuz we played HEDWIG & THE ANGRY INCH on da big screen! I love this movie/show. I stage managed the stage version, during its 'hit long run' here in OKC. And I never got tired of it. 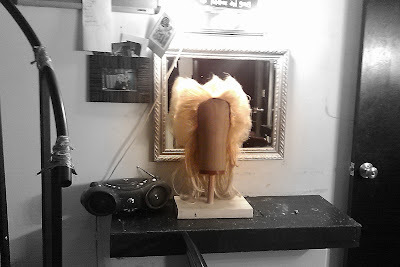 Usually, by the end of a show that I'm stage managing, I'm sick of it- begging every night that the curtain goes up that the actors just talk really fast and I can go home early- but with HEDWIG, I was in heaven. I was a big, big fan of the show during its original Off-Broadway run in NYC. I used to fly to New York and stay in hostels just to see it! Of course, I was much younger and much more adventurous that I didn't have any problem sharing a room/bunk beds with 11 strangers. But it was 17.00 a night, in NYC, with free breakfast! I would've slept ON a stranger 17.00 a night! But I digress. However, remind me to tell you of my 'staying in NYC at the infamous Carter Hotel' days, one day, too! Last night, Holly joined me for an evening of crafting and smack-talking. We had to run to Michaels at 8pm for supplies. They close at 9pm, and yes, we were still wandering around the store and they had to get on the intercom to tell us to make our decisions and head to the front. They're selling these scrapbook paper sized frames for 2.00 each. That's a good price for a decent looking frame. And if you're like me, and think you've gotta hang that cool mustache paper on your wall- this is a steal. Michaels. Two bucks. Tell them Kory sent you and to tell the girl who works the line nearest to the exit on Saturday night that he doesn't think she's a very nice person. Isn't that a great photo? Why, thank you. I'm very proud of it, myself. I had that giraffe stamp in my hand and didnt get it, the one from Michaels. I said "I dont use stamps much anymore" If i wanted all 4 ,and i did, it would have been 6 dollars. Ide already spent what i could for the week. Tonight i used a stamp on a layout. I thought of that giraffe. Do you think it will be there tomorrow? Sounds like you had a productive night, having fun crafting, and shopping. that cracked me up when you said tell the checkout girl Kory doesnt think shes a very nice person. I wish i lived there so i could say that! lol just kidding. I'm sure it will be awesome!!! Get some sleep! I can not tell a lie I had never heard of Hedwig before so I go to YouTube and watch a few video's, it looks like a love it or hate it and I ain't sure which side I fall yet I think I'd need to see the whole thing and I haven't got time for that. There is a small problem with telling the check out girl that Kory said your not a very nice person is it could be the wrong person, I know it may not make a difference some store are like that, but still. I am waiting with baited breath for the big reveal so please don't make it a long wait I may not survive. Kory- we got lots in common. Hedwig is also one of my favorite shows. Do you love Rocky? My daughter was in the show in Los Angeles for 4 years starting off when she ws just 16. Just bought tickets for ONCE for our next visit to NYC. Cannot get enuf of Braodway! Have had muslin stamping on my list of thigs to do for months and you convinced me to buy, tear and stamp. Have you seen that short starring Patrick (Harris?) called something like The Amazing something or other? Another favorite of mine - a must see! The girl in Michaels also works in Tunbridge Wells Hobbycraft. Fact. Left you a PM at sb.com. If you need the new TH embossing folders, check out scrapace.com. They have a bundle of 6 for $19.99 plus $5 s/h.